Portugal forest fire - June 19, 2017 - Pedrogao Grande. 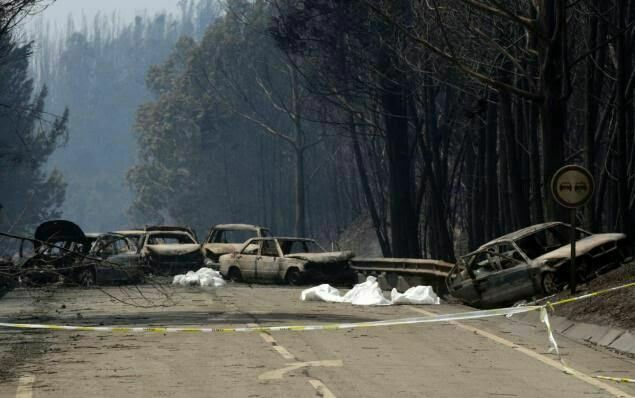 The forested area (95m northeast of Lisbon) erupted into a massive inferno, believed to have been caused by a lightning strike during a "dry thunderstorm". 62 people were killed, desperately trying to flee the raging blaze as it swept over roadways, trapping victims and charring cars and trucks in the flames.